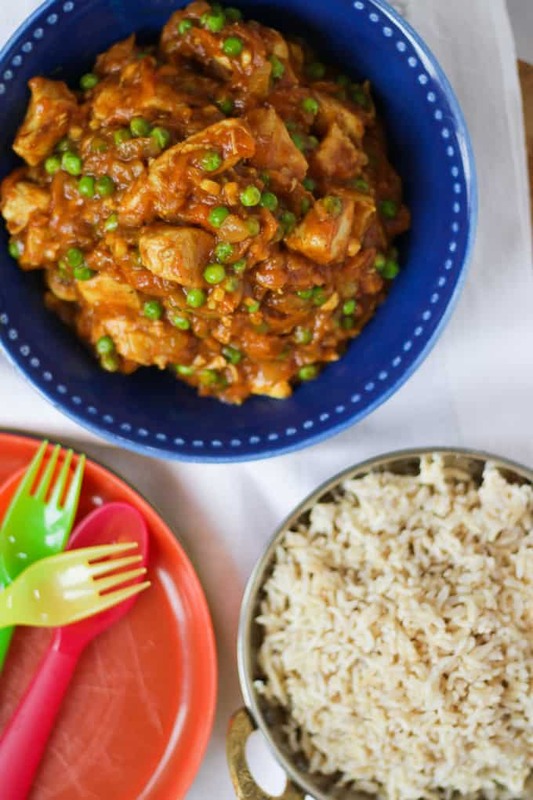 Family friendly fruity chicken curry – Kids and grown ups will love this deliciously mild and tasty curry recipe. Packed with fruit and vegetables, it makes a really tasty midweek dinner. It’s super important to me to encourage G&H to try new foods as they are growing up. I think it helps to understand how to make good food choices; such an important life lesson. We’re pretty good at trying new things at home. Often some bribery is involved, but needs must. A chocolate button can make a lot happen in this house (and that’s just me). Now they are at school and enjoying school lunches every day, it’s not quite as easy to know what food choices they are making. The Food for Life Campaign from the Soil Association got in touch with me recently to tell me about the work that they are doing with schools. Food for Life works with schools across the country to provide healthy and tasty school meals, great lunchtimes and food education that has a positive impact on both pupils and the wider community. They do this by supporting schools through the Food for Life Schools Award, which sees pupils learn to grow their own food, cook from scratch and access an imaginative programme of food education that will help them make the right food choices throughout their lives. Pop over to read more about the Food for Life Schools Award and check if your children’s school is registered. If they aren’t, there’s information on how to encourage them to apply and the benefits for the wider community of doing so. 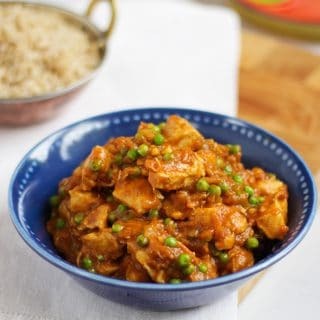 They sent me this delicious recipe for a family friendly fruity chicken curry, as used in one of their awarded schools. It’s perfect for little tastebuds, G&H loved it and I was super impressed but the extra fruit and veg that had been one sneaked in. I hope you enjoy the recipe, be sure that it’s a million miles away from the Rum Babas of my childhood! 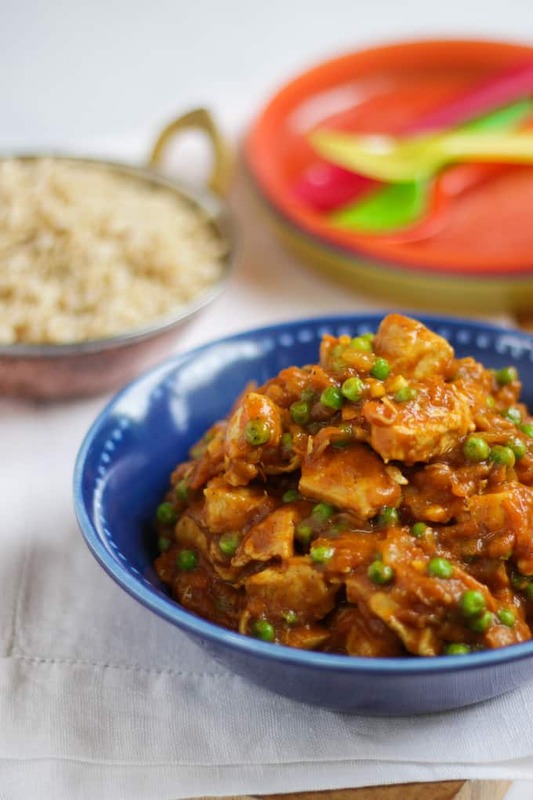 An easy family friendly fruity curry recipe. Heat the oil in a saucepan and brown the chicken chunks all over. Remove the chicken from the pan, put to one side. Add in the onions, garlic and curry powder, cook for 3 - 4 minutes until softened. Add the carrots, flour and tomato puree and cook for a further 3 - 4 minutes. Add the chicken back into the pan along with the stock. Meanwhile, blend the sultanas, banana, chutney and apple until it's a smooth consistency. Pour this into the saucepan with the curry. Add the peas and cook for a further 10 minutes. Disclosure: This post was sponsored by Food for Life by The Soil Association. As always all opinions are honest. 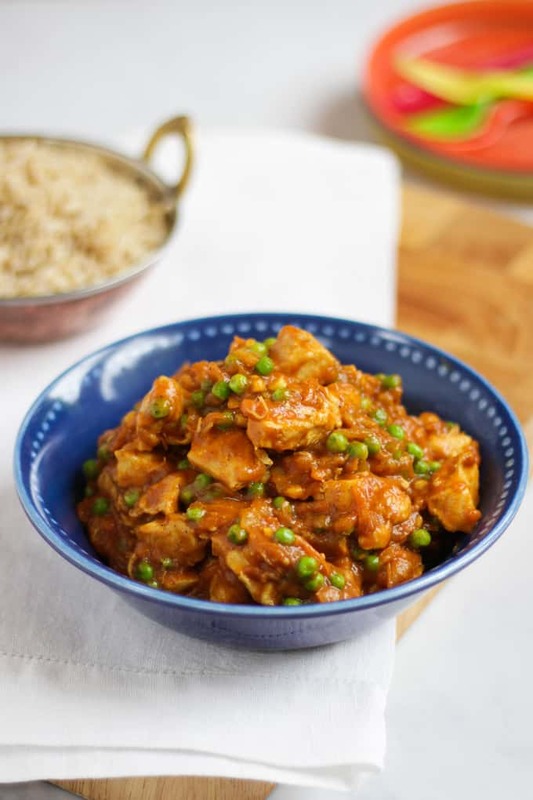 Wow, I have never tried such a version of chicken curry <3 Seems like a really cool idea- thanks a lot for sharing this recipe with us. I will make sure to try it! Ahh so pleased it went down well!